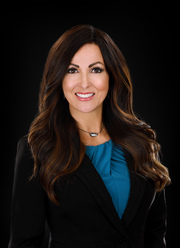 My name is Corrine Sherry and I specialize in assisting buyers and sellers in the Grapevine, Colleyville, Southlake, Keller, and Flower Mound areas having lived in Grapevine Texas for over 23 years. In that time, I have personally built two custom homes and bought and sold over 5 of my own properties. My background includes work in the IT Industry as a Certified Engineer in Novell and Microsoft Systems. I became a realtor in 2006 and sold over 2 million in properties in my first year. Though I loved my career, I took a step back from real estate for a few years to raise my two boys. Both boys are now grown and off to college and I am so excited to be back in the career I love; I sold over 1.5 million in my first month back! I am thrilled to call EXIT Realty Elite my real estate home! EXIT Realty is the 2nd largest residential real estate company in North America with over 70,000 agents. Our technology and training are some of the best in the industry and help to set our agents apart. EXIT’s Expert Marketing Suite gives us the tools to market clients homes with personalized websites, virtual tours, geolocation technology and much more. It's an exciting time to be in real estate. The area around us is growing so fast and the market is more competitive than ever. Because of that, my mission is to help guide my clients through the buying and selling process and provide the best support and service possible for them to make informed buying and selling decisions. My buyers and sellers have my complete commitment and attention when it comes to their needs. Whether you’re buying or selling your home, it is my goal to make the process as stress-free and simple as possible for my clients.